I have been drawing and making music longer than I can remember. The visual and performing arts have always been an integral part of my life. Whether sculpting, singing, drawing, playing, or painting, the arts have consumed and defined my life. I have found no more appropriate or profound way to share the human experience than the fine arts. Upon my confirmation into the Eastern Orthodox Church, I quickly found myself immersed in both chant and iconography. As a visual artist, it was only natural to explore iconography. As a musician, singing was an organic way for me to serve in the church. Through independent study, I have achieved a practical competency in both iconography and chant. I have chanted in my home parish, St. Mary Orthodox Church in Goshen, Indiana for almost five years and in August 2010, I was ordained a cantor and assumed the role of choir director. During a 2007 one-week workshop at Holy Dormition Orthodox Monastery in Rives Junction, Michigan, I first experienced icon painting. Since then, I have painted many icons. Several icons adorn my local parish, including two processional icons for major feasts and a 5-foot-diameter “Christ Pantocrator,” on the ceiling of the nave. In order to further my proficiency beyond independent study, I need to learn under a master who is able to teach techniques and practices only transmitted through interpersonal experience and oral tradition. Although each art form originates in antiquity, both are very much alive today – having more than 1,700 years of unbroken tradition of pedagogical transmission from master to student. Those seeking masters in these arts need not only time and interest, but also to travel, as these teachers are few and far between. This project will immerse me in these arts so fully that I can breach my creative plateau. On 30 May, I will travel to Athens, Greece on a generous Teacher Creativity Fellowship from the Lilly Endowment. My project will immerse me in this living tradition by studying under a master of each liturgical art: iconography and chant. For five weeks, I will study privately and chant under Ioannis Arvanitis – a master cantor at the Church of St. Irene in Athens. Arvanitis is a world-renowned Byzantine musicologist, a researcher in music at the University of Athens, and is completing his doctoral thesis for the University of Copenhagen on rhythm in medieval Byzantine music. He is considered to be among the foremost teachers of Byzantine chant in the world. He has worked with such international musical groups as Cappella Romana and Romeiko Ensemble. He studied under the famous Greek ethnomusicologist Simon Karas. 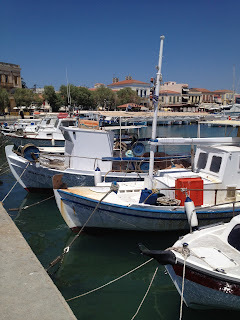 Athens is an ideal place to undertake this project. Besides being the home of some of the greatest living masters in Byzantine chant and iconography, Athens is the ancient hub of philosophy, intellect, and the arts, the birthplace of democracy, and the crucible of western civilization. I would like to spend one day each week visiting relevant religious, historical, and cultural sites in the vicinity of Athens. The Christian history of Athens dates to the Apostle Paul himself, whose feast will be celebrated during my stay. There are many early Christian and Byzantine churches and monasteries in and around Athens that still function, allowing me to experience ancient iconography and sacred chant in their original context. 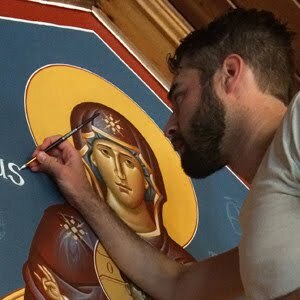 I will return stateside on 4 July to study icon-painting with Tom Athanasius Clark – a Greek-American master iconographer who lives in Athens, but will be completing a large-scale commission for Archagel Michael Greek Orthodox Church in Port Washington New York. Clark’s large-scale iconography adorns dozens of churches across Greece and America. His panel icons can be found in countless homes, including the personal collection of the late Pope John Paul II. 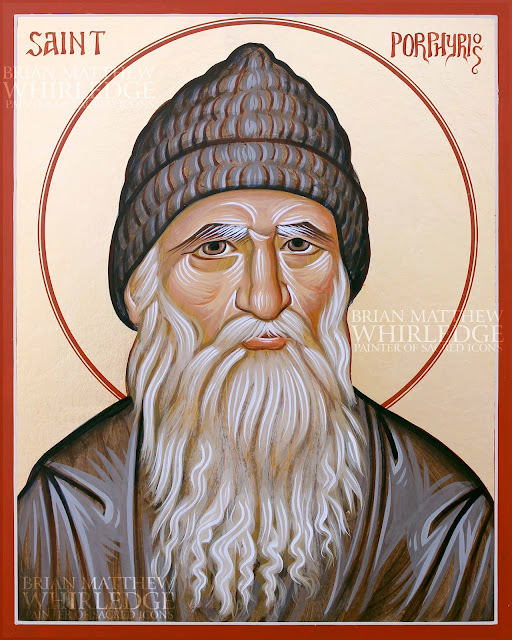 His work appears in many official books and publications of the Greek Orthodox Archdiocese of America. He studied under the master iconographer Kostas Tsilsavides of Thessaloniki, Greece. The goal of this project is not only personal artistic growth, but to enable me to become a better teacher to my own students – by becoming a student myself in two pedagogical traditions, a style of teaching both personal and experiential. As a visual arts educator, gaining knowledge of Byzantine iconography will be beneficial from the technical aspect of the painting process to the historical aspect of Byzantine iconography being the foundation of western art. Upon completion of this project, I will share this newfound knowledge with my church’s parishioners as well as the community-at-large by holding iconography and chant workshops at my parish. A number of young singers in the congregation desire to learn to chant, while others have expressed interest in learning iconography – but there is not currently a regional teacher for either art form. Follow my journey this summer as I post photos, audio, and reflections on this blog. 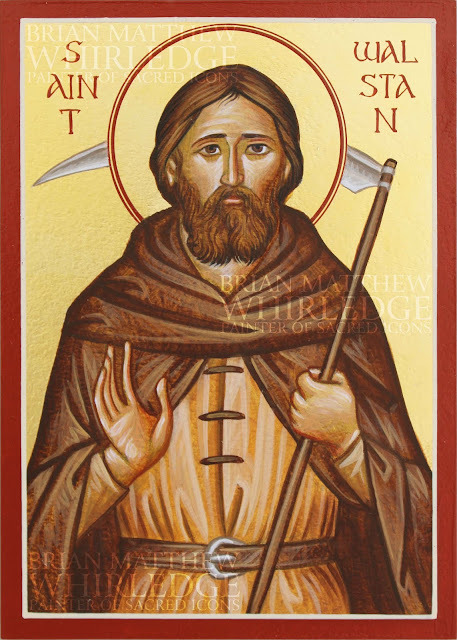 Please pray for me that our Lord and God Jesus Christ will grant me successful studies and a safe journey, through the prayers and protection of the Panagia, St. Nicholas, the Archangel Michael, St. Luke the Apostle and Evangelist, St. John of Damascus, St. Romanos, St. John Koukouzelis and all the saints. It sounds like a dream come true. Safe travels, good study. Enjoy!